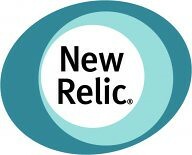 New Relic’s multitenant, SaaS web application monitoring service collects and persists over 100,000 metrics every second on a sustained basis, while still delivering an average page load time of 1.5 seconds. Having so many tables with this amount of data in them makes schema migrations impossible. Instead, “template” tables are used from which new timeslice tables are created. New tables use the new definition while old tables are eventually purged from the system. The application code needs to be aware that multiple table definitions may be active at one time. It’s an interesting read for anyone who is aspiring to build high performance online services.